Partnership with our clinical sites and Clinical Educators is the critical piece in our MPT students’ Clinical Education. We couldn’t do it without you! Please refer to menu items on the left for information, forms, and resources to aid in the Clinical Education experience. Would you like a template for signage to welcome your student at your site? All you need to do is fill in the blanks! 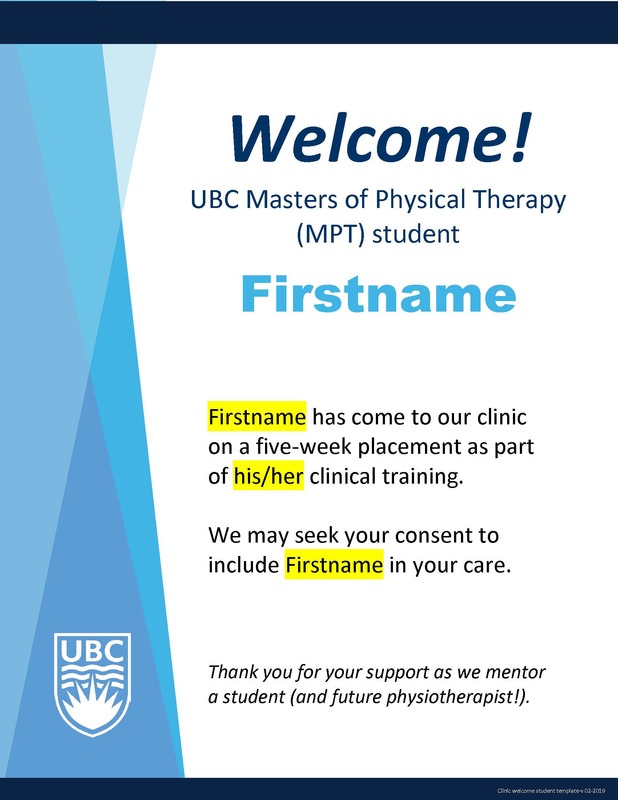 If you would like make your own signage–for example, to align with your clinic’s branding–you are welcome to use this template as a reference.